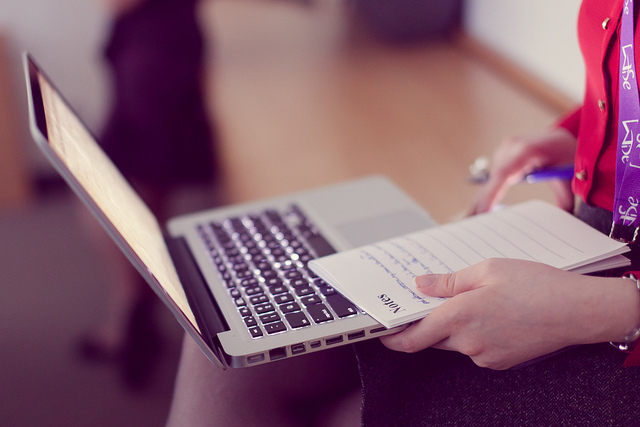 Note taking has always played a key role in learning and development. With the boom in technology it is becoming increasing common for people to use laptops or smart pads to take notes in meetings and training sessions. Whilst this might seem an effective use of a device many scientists have speculated that it is less effective for learning and memory than traditional pen and paper longhand note taking. To test these theories researchers at Princeton University carried out three tests where they pitched both forms of note taking against each other (Mueller & Oppenheimer, 2014). They divided college students into two groups, one that used laptops for note taking and one group that made longhand notes using pens and paper. Both groups made notes whilst watching TED talks and then 30 minutes later were asked a series of questions about what they’d learnt. There were two types of questions in the test. There were factual recall questions and there were conceptual-application questions. The results showed that there was very little difference between the two groups when it came to the factual recall questions but those who used laptops performed worse on the conceptual-application questions. So it seems that whilst both groups were able to recall the key facts from the talks, the written note takers had gained a deeper conceptual understanding of the topic. The key point here is not what method of note taking you should or shouldn’t use, it is about engaging with the information, distilling what the speaker is trying to say and understanding it before noting it down (on your note paper or your laptop). The mental processing that occurs by doing this enables the information to be that more firmly embedded, learning is then enhanced and memory is boosted. If you liked this article on Note Taking then please share it with your friends and check out our other blog articles for more tips and advice. ← “You throw like a girl” and other insults that have impact.